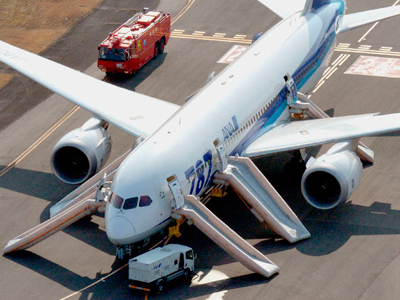 The US Federal Aviation Administration (FAA) has followed Japanese authorities in ordering a temporary grounding of all Boeing 787 ‘Dreamliner’ jets after a rash of recent technical failures. Europe and a raft of countries worldwide joined the halt. ­The decision to ground the jets was prompted by a second incident involving a lithium-ion battery failure on an All Nippon Airways flight, which forced the aircraft to make an emergency landing at Takamatsu Airport in western Japan on Wednesday, the FAA said. The regulator said that operators must prove that the batteries are safe before the planes can resume service. The batteries, which caused the recent malfunctions, will be examined as part of a comprehensive high-priority review announced last week. 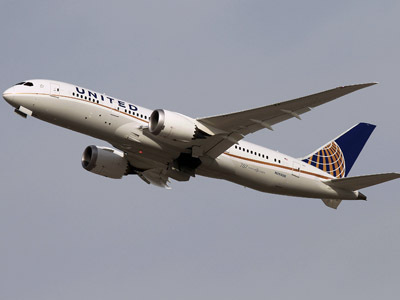 United Airlines said it would immediately comply with the FAA order. The US airline is the only American carrier operating the 787, with six in its fleet. International aviation authorities have been alerted to take similar action and carry out inspections. Following the Wednesday malfunction, two Japanese airlines voluntarily grounded their 787s. All Nippon Airways grounded all 17 of its 787s, and Japan Airlines grounded its seven Dreamliners. 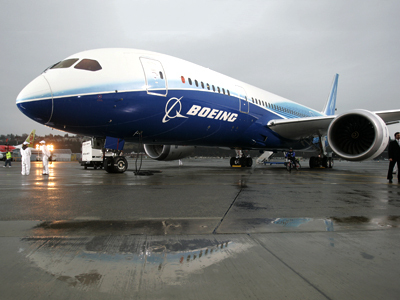 On Thursday the European Aviation Safety Agency ordered Boeing 787 Dreamliner planes grounded after incidents. Only one air carrier in Europe, Poland’s LOT Airlines, operates the Dreamliner. Indian aviation authorities have grounded state-run Air India’s six Dreamliners until further notice. Chile’s LAN Airlines also grounded its three 787s. Qatar Airways decided to ground its five aircraft until they met "the full requirements of the Airworthiness Directive and our standards which assure the safety of our passengers and crew at all times." Ethiopian Air followed suit by grounding its four Dreamliners, meaning that all the 787s are now out of service. The FAA has pledged to work with Boeing to “develop a corrective action plan to allow the US 787 fleet to resume operations as quickly and safely as possible.” Boeing officials also made a number of statements stressing that the company is working to resolve the issue as soon as possible. "Boeing is committed to supporting the FAA and finding answers as quickly as possible. The company is working around the clock with its customers and the various regulatory and investigative authorities. We will make available the entire resources of The Boeing Company to assist," Chief Executive Jim McNerney said. The last time the US grounded an American-made passenger aircraft was in 1979, when a McDonnell Douglas DC-10 crashed shortly after takeoff from Chicago, killing all 271 passengers and crew on board. 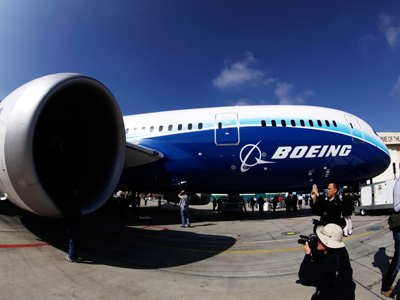 Despite efforts by Boeing executives to downplay the grounding, shares of the company fell by 2 percent on Wednesday after the FAA announced its decision to ground the Dreamliner. And shares of Japanese company GS Yuasa Corp, which produced the 787’s faulty lithium-ion batteries, have slid 4.7 percent. Though Boeing plans to build 1,100 new 787s over the next decade, some analysts say the company may never turn a profit from the plane, due its astronomical price tag: $32 billion in development costs. The grounding the 787s had a definite negative impact on Boeing’s credit, but so far the company’s ratings have not been impacted, Moody's Investors Service reported.